Pre-order your Limited Edition Hardbound Catalog today! LOS ANGELES- February 14th, 2018- Profiles in History is proud to announce over 1,000 lots from the personal and professional life of Hollywood legend, Liza Minnelli, will be going up for auction at Love, Liza: The Auction in Los Angeles. The auction will also include items from her iconic parents, Judy Garland and Vincente Minnelli. The auction will be in late May. 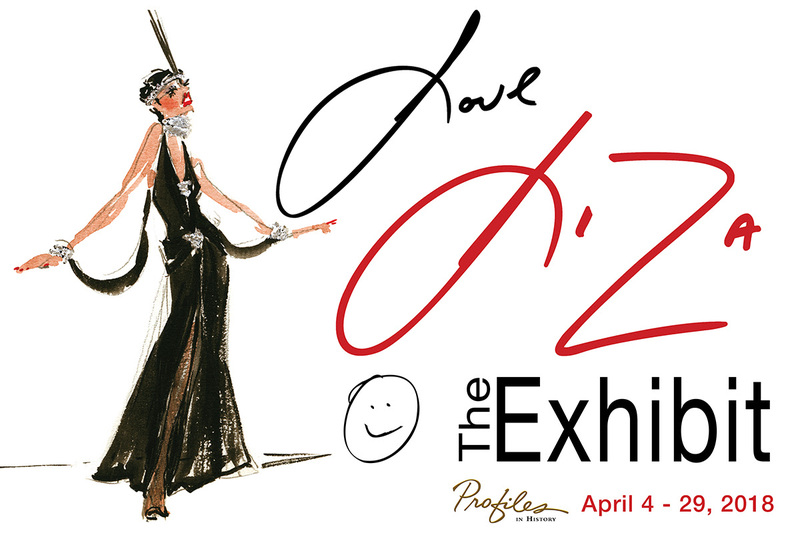 The public will get a once in a lifetime chance to see all the highlights at Love, Liza: The Exhibit, a blockbuster exhibition at The Paley Center for Media in Beverly Hills. The exhibit which is free and open to the public, will run at the Paley Center from April 4th – April 29th. There will be a press preview on April 3rd. Profiles in History will unveil an exhibit that showcases the legendary career of one the world’s greatest performers. The auction will span Liza’s entire award-wining career in film, television, live performance and recording. Highlights include photographs by Andy Warhol, Richard Avedon, Annie Leibovitz and David LaChappelle, the finest collection of rare and unpublished photographs in existence on the lives and careers of Judy Garland and Vincente Minnelli, Liza’s personal 1971 Rolls Royce Silver Shadow sedan, important costumes from stage and screen including Liza’s iconic “Sally Bowles” look from Cabaret (pictured right), and an extensive showcase of trendsetting custom fashions by Roy Halston Frowick. Including the red sequined tuxedo pictured below. Halston, who launched his womenswear label in 1968, came to define American Style in the 1970s with his hip, urban chic designs worn most prominently by friend, muse, and fellow Studio 54 habitué, Liza Minnelli. There will be a special room in the exhibit celebrating Liza’s relationship with designer Halston and Studio 54.